Warner Bros Entertainment Inc is a company that produces television programs, films, and music entertainment. The company is a subordinate company of Time Warner, which has its headquarters in Burbank, California. The company also owns half of CW Television Network. 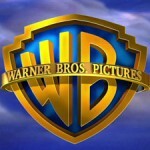 Four Warner brothers founded the company in the year 1918 as the Warner Bros. Studios, and later in 1923, the company was formally incorporated by the name of Warner Bros. Pictures. The cartoon unit of the company came into existence in 1930s. Some of the company's franchises include Looney Tunes, Superman, Scooby-Doo, Tom and Jerry, The Lost Boys, Happy Feet, and many others. There are currently 0 consumer reviews about Warner Bros Entertainment Inc available. Share your review. Please take a note that you are about to post a public review about Warner Bros Entertainment Inc corporate office on CorporateOffice.com. This review will be public, so please do not post any of your personal information on this website. If you would like to contact the corporate offices of Warner Bros Entertainment Inc, please use their contact information such as their phone number, website, and address listed above to contact them. However, sometimes staff from Warner Bros Entertainment Inc headquarters do read the reviews on this website.